According to a recent survey, Chinese high net worth individuals (HNWIs) – defined as people with US$1.5 million or more in investible assets – more than 50 percent are either planning to, or are considering, emigrating from China. For Chinese people looking to leave China, the U.S. and Canada are the most popular destinations, followed by the U.K. and Australia. Cities on the west coast of the U.S. are the preferred emigration destinations for the Chinese. These cities are of course closest to China, increasingly served with regular direct flights and have substantial existing Chinese communities. If half of U.S. millionaires were looking at leaving the country, clearly we’d want to know why. 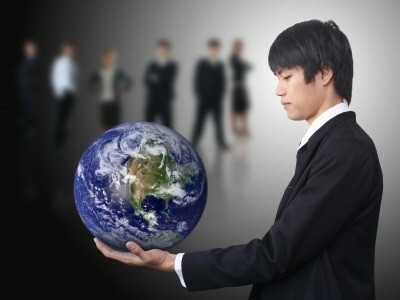 Education and environment are the primary factors motivating rich Chinese people to leave China. Chinese political and military elites have long spurned local higher education, instead sending their offspring to study at prestigious western universities for a better education than what’s available at home. The daughter of Chinese President Xi Jinping, for example, studied at Harvard University in the U.S. For reference, in the Times Higher Education 2017 World University Rankings, the first Chinese university is ranked 29th. 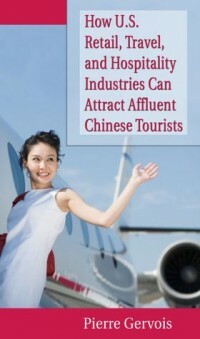 Clean air and water, safe food and an open-minded education are attractive to anyone – and especially wealthy Chinese. In addition, some 84 percent of participants cited the depreciation of the Chinese yuan as a key concern and driver for looking to move and buy real estate abroad. But there are other reasons that push the wealthy to look overseas. The reality is in China, if you cross the authorities, everything can get pretty bad for you, and quickly. You’ll notice that the top 10 cities listed in the table above are all found in countries with open and transparent rule of law – which is lacking in China. An overseas exit plan provides an insurance policy, should a swift departure ever need to be made. Property prices on the west coast of the U.S. have been boosted, in part, by continued buying by people from China. There have been numerous reports over the years of open houses being completely dominated by Chinese-speaking viewers, and even tour groups focusing on acquiring real estate. And Chinese students will continue to flock to the U.S., with some 60 percent of all overseas students in the U.S. now hailing from China. Again, Mum and Dad will often buy real estate, along with a degree for junior. What’s the easiest way for a wealthy Chinese individual to get a green card? Well, as the sister of U.S. President Trump’s son-in-law and special advisor, Jared Kushner, told an audience of Chinese investors in May in Beijing, you just need to invest in a bit of Kushner family real estate development. The EB-5 visa programme allows for overseas investors to put US$500,000 in projects that create at least 10 jobs (in areas of high unemployment), or a million dollars in other areas, and in return apply for permanent residency in the U.S.
Jared Kushner, prior to his White House role, raised US$50 million from Chinese EB-5 investors for a Trump-branded apartment complex in Jersey City, New Jersey. Not surprisingly, this has been hugely popular with wealthy Chinese. Around 85 percent of the visas have gone to Chinese, and there is a backlog of more than 20,000 applications. Although the EB-5 program is likely to be altered or at least reviewed, the U.S. looks set to remain a popular destination for Chinese money for the foreseeable future. A rebound in US real estate pricing, tight inventory in major cities, and continued low interest rates also are attracting Chinese buyers, said Gary Locke, the US ambassador to China. Locke was speaking at a forum in Beijing sponsored by the US Embassy to promote Chinese investment in US property. Chinese investment in the US has surged to $18.5 billion over the last two years, more than the combined total of the previous 11 years, Locke said. “Chinese investors are now looking to purchase entire luxury shopping malls in Los Angeles, Las Vegas and New York City”, said Pierre Gervois, Publisher of the Shanghai Travelers’ Club magazine. 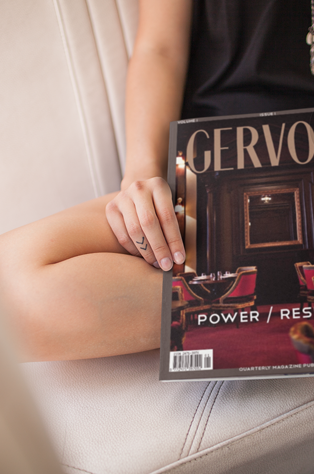 “As the new generation of affluent Chinese consumers prefer to buy luxury goods overseas, Chinese investors know that it’s now better to invest in luxury retail in the U.S. rather than in China, where foreign brands have opened too many deserted outlets” Gervois added. Chinese nationals bought more than $8.1 billion worth of real estate in the year ended March 31, representing 12 per cent of the estimated $68.2 billion of domestic property purchased by overseas nationals and second only to Canadians, according to a survey by the National Association of Realtors. “Real estate is finally becoming a global industry and you will see capital flows on a cross-border basis, just like every other investment class,” said Rob Speyer, co-chief executive of Tishman Speyer Properties LP, which partnered in February with China Vanke Co Ltd to build a $620 million apartment project in San Francisco. Speyer, whose company is also developing commercial, residential and retail projects in the Chinese cities of Shanghai, Chengdu and Tianjin, said he courted Vanke’s Chairman Wang Shi for more than two years, and inked their deal only 45 days after first introducing the project to him. Not everyone is convinced that Chinese investment in the US property market will continue uninterrupted. Other options for expansion include Europe, Australia and Singapore, which account for about two-thirds of offshore Chinese real estate investment, according to Jones Lang Lasalle. Zhang Xin, chief executive of Soho China Ltd, who paid $700 million through her family trust to buy a stake in the General Motors Building in Manhattan, said that while the US regulatory and legal environment remained attractive, valuations were getting expensive. “I would not feel as comfortable today putting in money as I did a few years ago,” Zhang said. Over five days in January, a group of visitors to New York was treated to a private concert with the pianist Lang Lang at the Montblanc store, cocktails and a fashion show attended by the designers Oscar de la Renta and Diane Von Furstenberg, and a tour of Estée Lauder’s original office. They were not celebrities. They were not government officials. They were Chinese tourists with a lot of money. Though luxury brands started opening stores in Beijing and Shanghai years ago, Chinese shoppers still spend more on luxury products abroad than they do at home, according to the consulting firm Frost & Sullivan. Price is the major reason: Because of China’s taxes, luxury products are about a third cheaper in the United States and elsewhere. European luxury stores have been catering to Chinese tourists for years. Now high-end retailers in the United States are pulling out their Mandarin phrase books and trying to convince Chinese visitors that Americans can do luxury, too. A record number of Chinese visited the United States last year — nearly 1.1 million — and the country accounts for one of the top-growing tourist groups here, according to the Commerce Department. 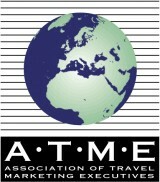 The number of visitors is expected to almost double by 2014, according to the U.S. Travel Association. Chinese visitors spend about $6,000 each on every visit here, versus the $4,000 that visitors from other countries spend on average, the association says, and their top activity is shopping. Although some tourists spend money on Disney trinkets and at the outlet malls they have traditionally frequented, luxury brand purchases are surging in part because American stores carry a broader range of products than their counterparts in China, said Julia Zhu, consulting director for Frost & Sullivan. Tiffany, which made almost a quarter of its United States revenue last year from foreign tourists, has added Mandarin-speaking sales staff to its major stores, as has Burberry, where more than half of sales at its flagship stores are to tourists. Representatives from Tourneau’s Manhattan office recently accompanied New York City officials on a visit to China to encourage more tourism in the city. At its United States stores, Montblanc sells Year of the Dragon pens and has staff members who speak Mandarin and Cantonese. It is also printing Chinese-language brochures about its products and selling wallets sized for Chinese currency. Retailers in the United States lag behind other countries. Part of that is because of visa issues; it is easier for Chinese residents to get visas to Europe. High-end American retailers like Saks Fifth Avenue and Bloomingdale’s are urging the government to speed up the process here. President Obama said in January that he planned to increase visa-processing capacity from emerging markets like China and Brazil by 40 percent this year. The American stores also have to overcome an idea that luxury can come only from the old world. “The European brands, they see prestige, history, heritage,” said Sunny Wong, group managing director of Trinity, a company that owns and operates high-end European retail brands in China. American brands, by contrast, are seen as “contemporary, lifestyle” rather than pure luxury, he said. American retailers are racing to prove Mr. Wong wrong. As many Chinese private jet future owners consider that buying a pre-owned or a new aircraft in the U.S. is the best way to ensure the best quality and perfect maintenance, there is a major opportunity for the U.S. business jets industry, or foreign aircraft manufacturers operating from the U.S. and targeting new Chinese customers, such as Dassault Falcon. 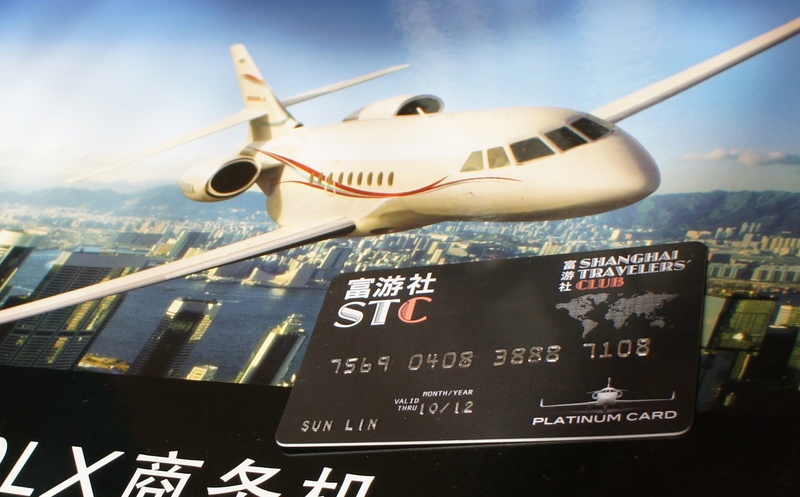 Dassault Falcon will set up a new operation in Shanghai to help support its rapidly growing Chinese fleet. The new entity, to be known as Dassault Falcon Aircraft Services – China, will be established by the end of the second quarter of 2012 in partnership with Shanghai Hawker Pacific and will be located within the Shanghai Hawker Pacific complex at Shanghai’s Hongqiao International Airport. Dassault Falcon Aircraft Services – China will play a key role in ensuring first-class support for the Falcon fleet that is expected to triple by the end of 2012. The unit will be staffed by a team of technicians with an average experience of more than 10 years with Falcon business jets specially trained on Falcon 7X, Falcon 2000LX and Falcon 900LX models. Line maintenance, AOG support, troubleshooting and component replacement will be among the services offered. Dassault Falcon Aircraft Services – China will bring extensive, hands-on Falcon maintenance to the world-class Shanghai Hawker Pacific’s facilities that support local and transient Falcon aircraft, while providing an opportunity to transfer technical maintenance know-how to Chinese engineers in this developing market. The Shanghai Hawker Pacific complex features a 4,000 sq m facility for maintenance, repair and overhaul (MRO), in addition to its fixe based operations (FBO) capabilities. It was the first third-party MRO facility in mainland China and is a joint partnership with the Shanghai Airports Authority. The Civil Aviation Administration of China (CAAC) recently granted a Part 145 repair certificate for the facility as well as a Part 145 approval for the Falcon 7X. Approvals for the Falcon 900LX and Falcon 2000LX models are expected within six months. In addition to this new facility in Shanghai, Falcon customers can access repair facilities operated by Hawker Pacific in Singapore and Sydney, Australia and Jet Aviation in Hong Kong.